Kids are full of passion, energy and ingenuity; they won’t let anything stop them playing. Whether it’s a lost ball, burst ball or no ball; dinnertime, bedtime, bad light, even the neighbour’s dog – they’ll find a way to play on. ALDI want to fuel their fire for the game, that’s why we’re supporting the ALDI MiniRoos program that provides training and equipment to local clubs. The ALDI MiniRoos program is open to 4-11 year olds of all abilities and introduces the sport to kids using short, fun packed sessions. It focuses on learning new skills, being active and making life-long friends. Together we can keep them playing, and who knows; maybe we’ll find a future Caltex Socceroo or Westfield Matilda along the way. Ready to register your child? Click here. Congratulations to Jarrah, Jirelle, Claire and Griffin. These four lucky kids were picked by Westfield Matildas star player, Steph Catley and former Caltex Socceroo legend, Archie Thompson to become the ALDI MiniRoos Dream Team and the faces of ALDI Wheat Biscuits. They’ve enjoyed photo-shoots, hung out with the stars, become TV commentators, given out medals at the Hyundai A-League Grand Final and their faces are now on boxes of ALDI Wheat Biscuits across the country. Keeping kids playing the game they love isn’t always easy. We’ve worked together with local communities to help overcome the little (and big) things that stop kids enjoying a good kick about. We couldn’t believe it when we heard someone had broken into the Falcons 2000 clubhouse and stole 50 ALDI MiniRoos balls. So in a bid to keep the kids of Morwell Victoria playing, we sent former Caltex Socceroo Archie Thompson back to his former club to surprise them. Watch the video above to find out more. ALDI is proud to be the major partner of MiniRoos, Australia biggest football program for kids. Our aim is simple: help kids to keep playing the game they love. We provide everything from equipment to uniforms and delicious snacks, but now we’re taking it one step further with the ALDI MiniRoos Mighty Menu. 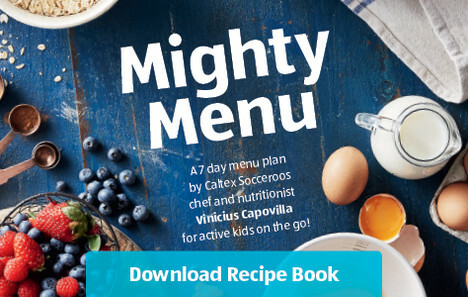 It’s a delicious and nutritious 7-day menu plan designed by Caltex Socceroos chef Vinicius Capovilla. 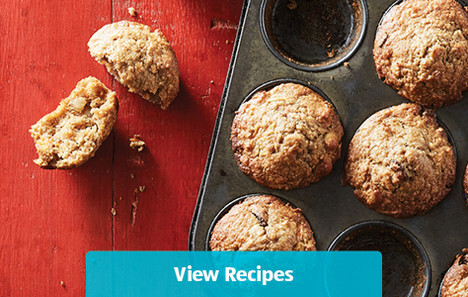 You’ll find irresistible breakfasts, lunches, dinners, snacks and more inside, providing all the energy you need to keep the whole family playing.